We continue on our quest to make Buba’s last few months before school as adventurous as we can. While we do have some amazing travel plans this year we also want to make the most of where we live. Last weekend, the sun came out and we jumped at the chance to enjoy it and get some much needed fresh air at the beach! 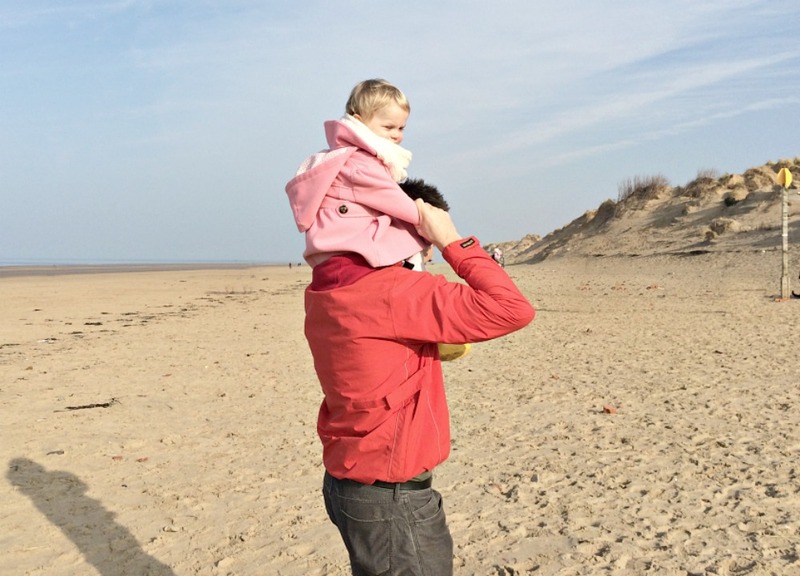 Formby is only forty minutes from us and a stunning place to visit. Mr P has golfed there numerous times so it was his idea to check out Formby Point- National Trust area. It cost £5.50 for families to enter but so worth it. It’s clean, beautiful and when the wind isn’t present and the sun is out it’s a hotspot to enjoy. Last year, we didn’t get out much to places like this, we were confined more to the house or places where Missy Moo could nap and be fed but now that she is a year older and more independent of those things we can really start exploring as a family of four more! 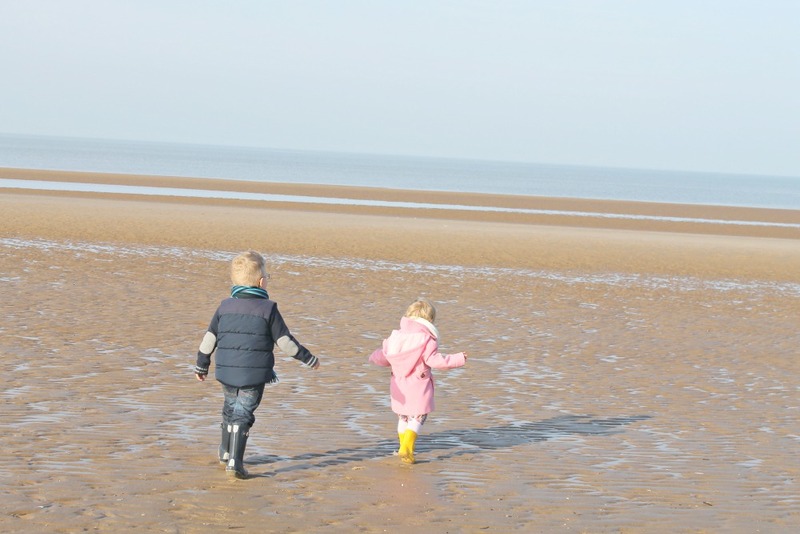 I didn’t know what to expect at first as I have never been to Formby but I was excited and so were the kids. I actually thought the beach might be more little white pebbles and not soft sand like it was which was a great surprise. 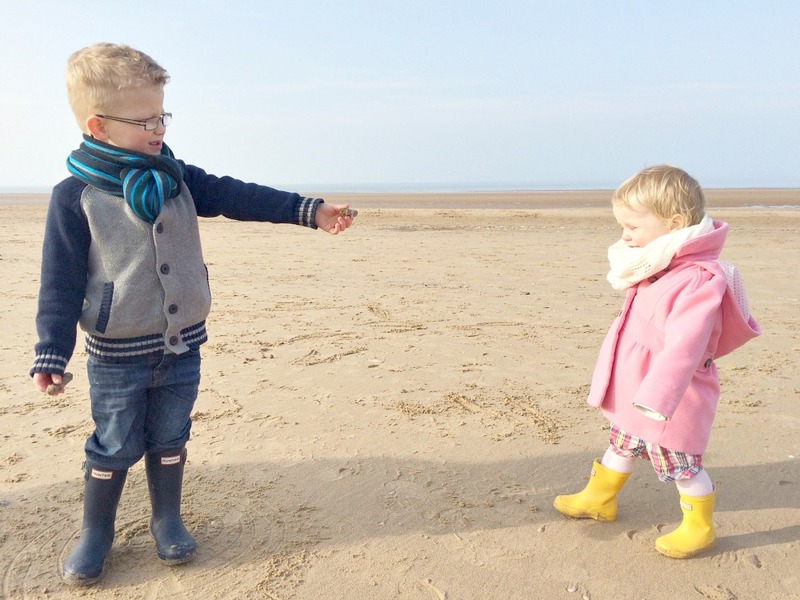 The kids had their wellies on but struggled to walk through the thick, deep sand. I think they were perplexed at first and covered with sand in seconds. The sky was as blue as I had seen it in a while and I couldn’t believe our luck that it was such a beautiful day when we all four were together to share it. There is so much to do there too, I wasn’t really prepared for it but next time I will be sure to bring a picnic blanket, some shovels and buckets to play more in the sand, a basket to collect seashells (instead of my pocket) and a chair for Mr P and I to sit and let the kids roam free. ^ Of course, these water babies went straight for the water as soon as we set them free. I was a little nervous but Mr P was on hand to keep them out of it to Missy Moo’s utter dismay. She really has no fear. After they got over the mass of water in front of them, they realized there were seashells everywhere. It was time to start collecting and throwing seashells into the water. It made me think of when I was a kick and we spent hours throwing mini rocks into the water. I wonder what it is about throwing things into water and watching it disappear that could be so entertaining for so long? ^ Missy Moo was just giddy to be free and have so much space to roam around and explore. Even watching her own shadow dancing in front of her made her squeal with delight. She is a true outdoor girl! We attempted a family selfie but Buba didn’t want to take part and while I am obsessed with capturing us all I never want to make the camera in their face a bad thing so I don’t push it. 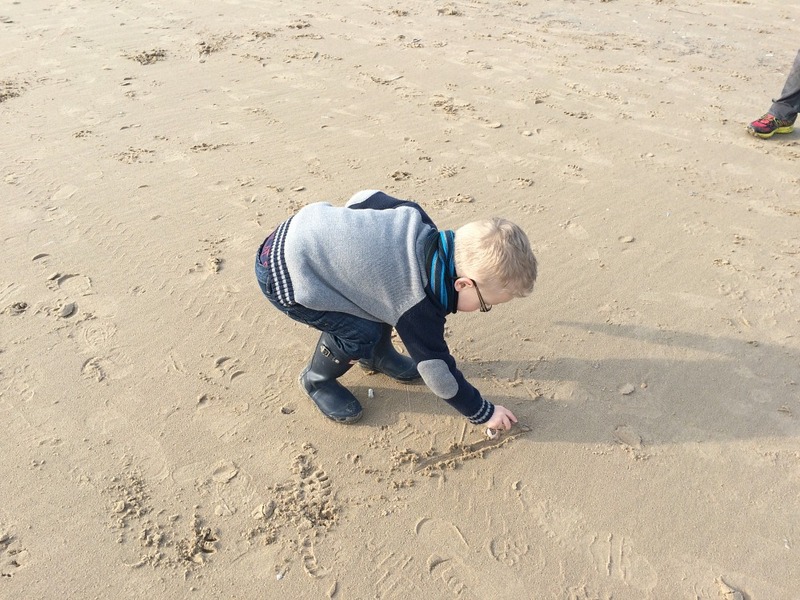 Instead he opted to practice drawing his letters in the sand and Missy Moo soon joining him. This is the part Mr P and I could have had chairs to sit and watch as they could have sat there drawing for hours. ^ We really need to get the kiddos some sunglasses. It may be winter but it was absolutely blinding that day. They could hardly look up at each other. Mommy and her sweet girl. It’s not often I get someone to take a photo of me and Missy Moo without being a selfie. I love this one. 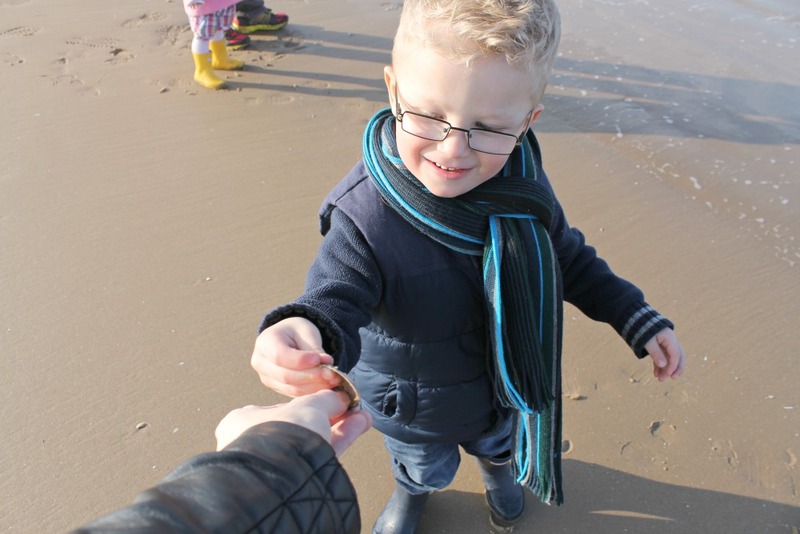 We spent the morning roaming the beach, playing in the sand and water and collecting seashells. It was only natural to have their morning nap on the beach after all that hard work and playing. Walking in sand is tiring, I know I was exhausted after just a few hours. Missy Moo was a trooper and it was the first time we had gone out without the stroller. So her little legs really had a lot of exercise that day at the beach bless her. ^ Buba realized that if he stepped on the seashells they crunched loudly into lots of mini pieces and he was soon happily dancing around the beach like he had ants in his pants trying to stomp on every seashell in sight. I have to admit I may have joined in. It’s like popping bubble wrap you just have to do it, the sound is annoying to everyone but the person doing it. With tired legs and the day fading we headed off the beach for a late lunch and a late nap, parents included. It was such a great last minute decision and yes we probably should have been in church instead but the sun was begging us to enjoy it and all it’s glory. 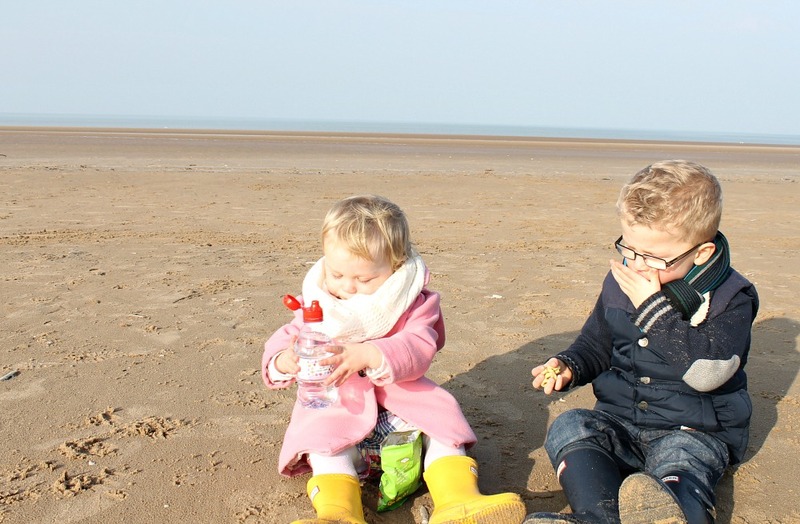 We had such a lovely day out and it won’t be our last visit to Formby now that we know what to expect and what’s there we will be even more prepared for a fun day out. 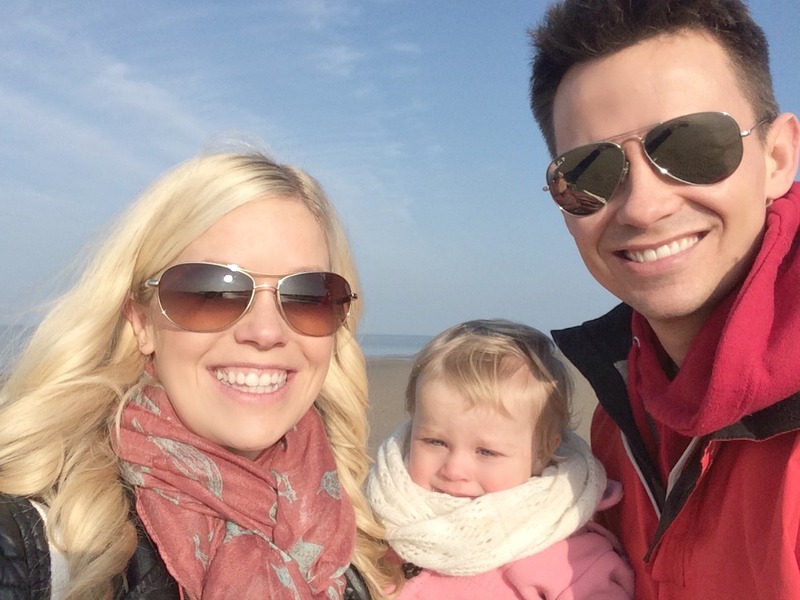 A little video of our sunny day family adventures on the beach of Formby! Enjoy! Aww lovely photos Jenny, I love the one of you and Missy Moo. I didn’t realise you lived in that part of the country, Formby is not too far from where I grew up and we always spent days out their with my Nana when we were kids – you should definitely visit Crosby beach if you haven’t seen the “Another Place” display yet – it’s really interesting and gorgeous to photograph! We did get so lucky with the weather and had the best day out. Thanks hunny. Thanks Michelle. It was very clean I was so impressed. It was our first time there together. 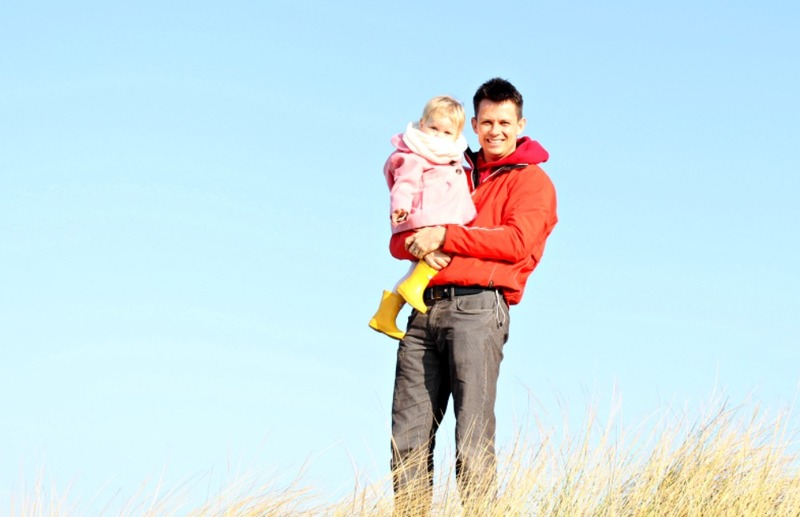 My husband golfs at Formby Golf course sometimes and recommended it and it won’t be our last visit for sure. 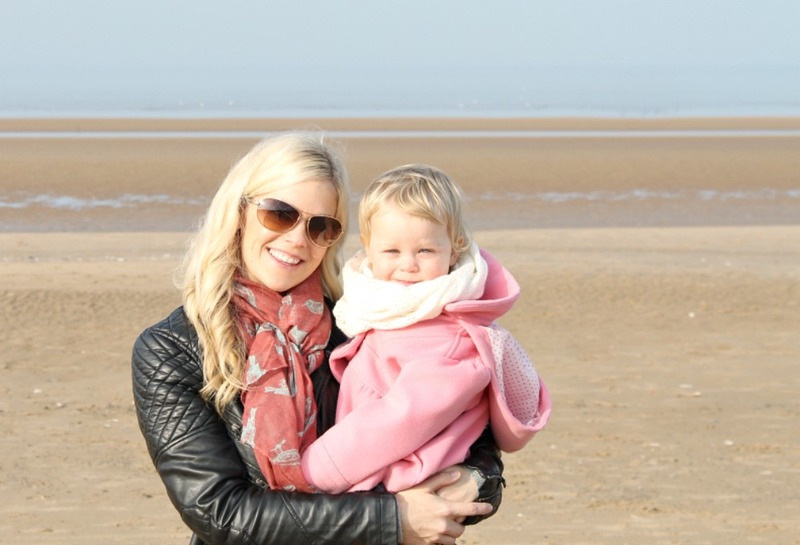 Crosby beach is another amazing one and on our list next. Thanks Tarana. The weather turned out perfect for our last minute adventure. We got super lucky. I can’t wait to go on more exploring adventures now. Pass the baby stages and we can do so much now. Thanks Renee. I completely agree. It was the best day out and not planned. Those always seem to turn out great memories. It truly was amazing. We had so much fun. Thank you hunny. What a fun day! We’re taking our little guy on his first trip to the beach soon, and I’m really looking forward to it. Your video is super cute—you’ve inspired me to break out the video camera more, even for everyday moments and not just for bigger events and milestones. I just linked up to Share With Me for the first time and look forward to following your blog! Ahh thanks hunny. I am glad. Because I would have loved to watch videos of me growing up and I want that for my kids. Not just for birthdays or big things but for our everyday lives too. Do it. You will love it. And welcome to Share With Me! I look forward to reading your posts. Glad you stopped by! I think they love the beach come rain or shine. Kids being kids with freedom is the best bit. Thanks hunny. I couldn’t agree more. I grew up on water too and feet in it splashing is a highlight of my childhood. Thanks hunny. I grew up on the river but have always loved the beach. Glad to have found a beauty spot near us. It was the perfect weather day for sure. Got lucky. Oh yes we really should. It’s stunning. We have so many great places we could visit together. I love love visiting the beach before the summer season. It looks and feels utterly different than what’s expected and there’s something even more serene about that. Your idea of family outings sounds great! I can’t wait til my daughter is a bit older so we can go on these family outings as well. Thank you for hosting today and for such a lovely post! Thanks Maria. Yes it definitely helps now that MM is older. We have so many upcoming adventures I can’t wait for. Looks like a beautiful day out with the family! The pictures were gorgeous. 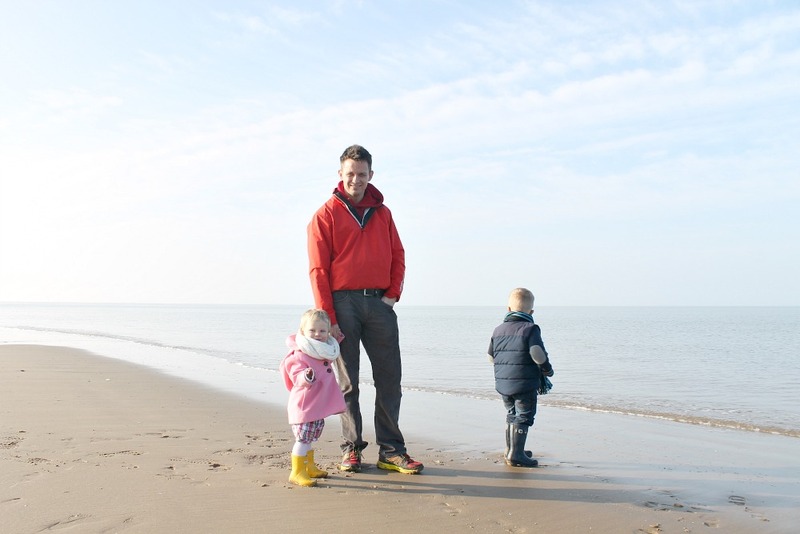 I do love the beach a lot and often take the kids for a walk down there.. I think the kids would love it come rain or shine. It’s freedom to run around isn’t it? Lovely place. Thanks. Looks so nice! When my son started school its really hard to do something unless we will wait weekends (Saturday only as we dont want to make him tired Sunday) so this going out while you still can is a great idea! Thanks Merlinda. I know we agree. Buba starts school in September than we will be in your boat too. Making the most of it. Thanks Louise. We had such a great time and all a last minute decision but a good one. Love the pictures. Do you use a proper posh camera? Not just a phone like me?! I also love your scarf Jenny. Where’s it from? I’m a lover of scarfs and owner of many pashminas. Too many to count. It’s like other people have loads of shoes, I but I have a collection of lovely things to wrap around my neck and brighten up an outfit. Thanks Lucy. I am the same. Love scarves. Have so many. My best friend bought it and sent it to me from America sorry. I use a dSLR for some of my photos and for most my iPhone is just easier. So these are half and half. Thank you. We love them too. But would take any beach for a nice adventure out. Oh yes winter beach adventures can be just as fun and exciting. Get those wellies out. There was absolutely no wind so it was really warm too. Oh I bet. I can’t believe we have never visit the beach in the eight years I have lived here. Won’t be our last visit either. Beautiful. Thank you. I think the kids would have loved it rain or shine just for space and freedom to run around. Hahaha I know the feeling. Both of mine were until about 1 year old. So funny that kids hate sand. It’s such a great place for them to run around. Even as a last minute decision to go it looks like u all had such a wonderful time, some really lovely photos to shares those happy moments too. Thank you. I know it turn out the best last minute adventure ever. Oh yes I think too many think of just beach for summer but we love it anytime of the year. Thanks. I think too often people only see the beach as a summer thing. So glad we went. Had a blast on our little winter beach adventure. Such cute pics and what a lovely place! Thank you so much. We got lucky with the weather and really made a great day out it. Aha yes you do darling. It’s near Liverpool. It’s beautiful too. Thanks hunny. Yes I was there babes. It goes quick and you will be back out there. We are just getting to the point we can do more things. Ahhh it’s great to get to the beach winter or summer. Love it. We had a great day. Wont be our last either. Thanks Hun. Ahh that’s a shame. I love being near water. Grew up on a river so it’s home to me. Great place to explore for sure. Thanks for watching the video hunny. So sweet of you to say. It was a gorgeous winter beach day for sure. Really enjoyed it. Aw, love the video. I really need to take more, but the OH hate photos, let alone videos, and it’s a bit dull with just n in them! Looks like it was a lovely day out. so nice to be near the sea. Wish we lived a bit closer. Ahh yes it was magical. I tend to video from a far and just let them play and be themselves and follow them around so they are used to it. Lol sometimes I try to sneak it so they don’t know. It makes for better candid videos and photos. Thanks Megan. So sweet of you. We are a normal family with wobbles but we are love the sunshine and Beach visits for sure. Thanks. It was only 40 minute drive and so worth it too. Such a stunning place. We all take things that are right there for granted as life gets busy. Took us eight years to go. lol Thanks hunny. Thank you Steph. I have heard a lot about Crosby beach it’s our next adventure out for sure. Sounds great. Lucky grandparents. Enjoy Saturday! Thank you hunny. We really did. The kids just needed freedom and fresh air as did Mr P and I. Loved it. That’s great Lucas. Yes it was but so worth it as it was a beautiful day to get out and run. I know we really should have been there years ago. I grew up on the river and I know I didn’t appreciate it’s beauty until I was an adult. Completely agree. Beautiful photography as usual Jenny. 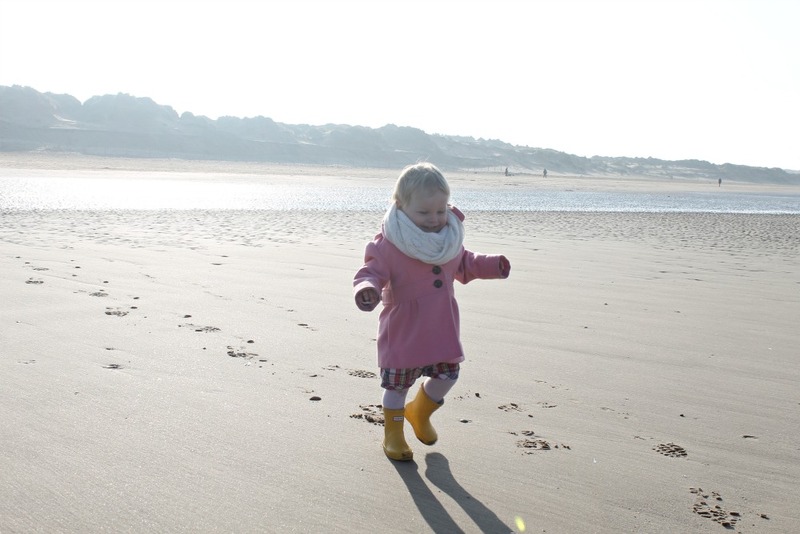 Your family are so sweet- and a great choice of seaside! Thanks hunny. It was stunning and they had a ball. Lovely Photos. Love going to the beach, it’s so relaxing even if it’s not summer! Thank you Louise. It was lovely and such a perfect day for it. We got lucky. It’s a beautiful place to visit for sure and even moreso to live. Lucky them. Thank you hunny. The kids had a brilliant time and it will be a day to remember for sure. Oh my what a wonderful family day. That beach looks like it goes on forever and the weather looks so perfect, one of those magical winter days. Lovely photos and I especially love the one of Missy Moo and you together, thank you for sharing your fun on Country Kids. Thank you so much. We really did get so lucky with the weather and it not being windy. Formby usually is really windy too. Thanks for hosting darling. Lovely to finally link up. 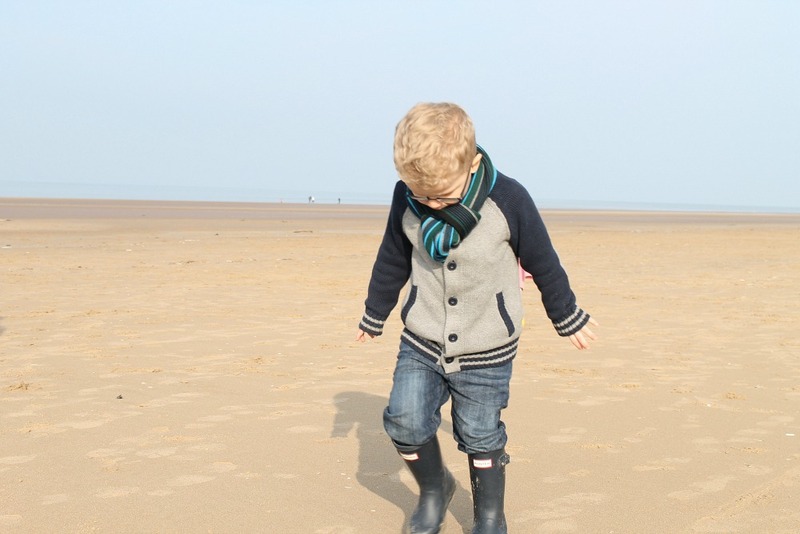 Fantastic photos Jenny, Looks like you had an amazing time at formby, I love formby beach, especially when it is quiet its even better. If you liked formby beach have you tried crosby beach it has the status in the water? check if the tide is out usually in the afternoon but that is a good beach to. Thank you so much Vicky. I need more practice with my camera but I am off auto and have been working manual for awhile now. Never go back. Lol Formby beach is beautiful. I think it’s great to plan a big year before school. It will be a memorable one for sure. I will have to get Buba some tint eye glasses for the beach so he can still see. Hahah it was a beautiful family day out. Thank you. Loving your photos – everything looks so bright and cheery! We spent time at the beach in Donegal ourselves last weekend. Was sunny but verrrrry cold. Everyone had a great time though – running around and splashing in the sea. I think as long as the kids have room to run and play they are happy. Hahaha sounds lovely. Thank you. You’ve got some truly beautiful shots!! 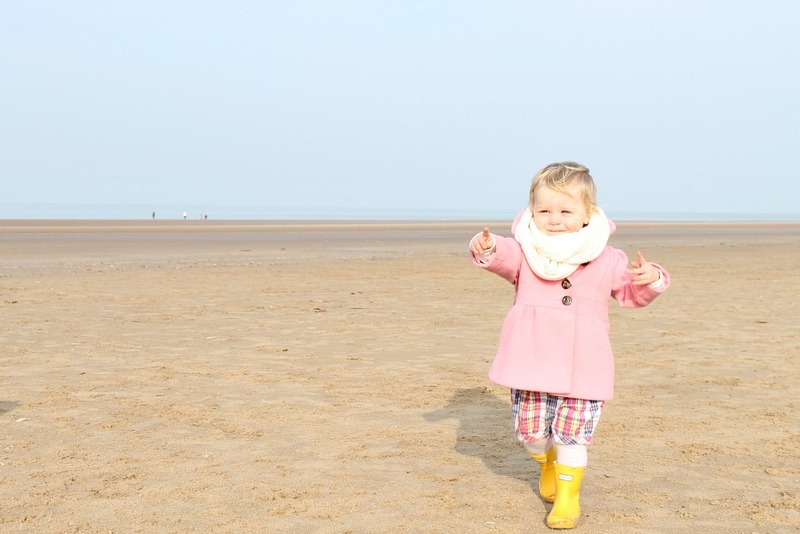 There’s something so British about getting wrapped up and going to the beach at winter time – I love it! My gran always said that a bit of sea air (at anytime of year) did her the world of good. Your gran was a smart smart lady. It definitely did. I think the beach anytime of year is a great experience. Kids don’t mind as long as they can run free and explore. lol Thanks hun.